During this month we hope that all of you will be harvesting a crop. It is so very rewarding to be able to get a good harvest – every year you work hard and do your very best, but you are not rewarded adequately each year. We have to remember that we farm outside and we cannot control the rainfall. We can do our best in every way, but we remain dependent on the rain for a good crop. As farmers, we have a huge responsibility to feed our nation – firstly, we have to feed ourselves. Each small farmer who perhaps can feed his/her family, is making a great contribution – because you are looking after yourself, no one else has to do that. For those of you who are able to do more than feed your family – that is great because you are helping provide food for the people who live in the cities. 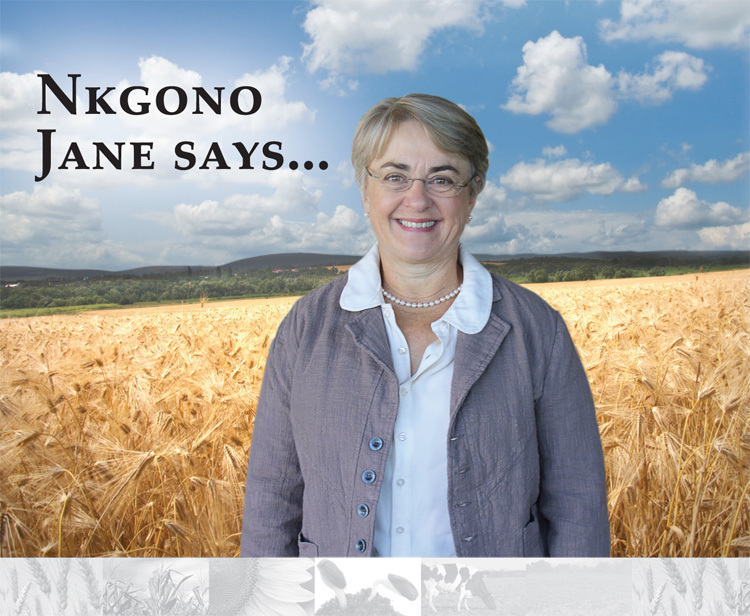 We need every bag of grain, cereals and oil seeds that you are producing – you are feeding our country, contributing to the broader economy, creating employment and providing the raw materials that start the entire food chain in South Africa. Please take the time to celebrate your successes – South Africa is proud of the contribution you are making and as Grain SA, we would like to thank you. It is almost time to start planning for the next season – for the Jobs Fund farmers, please remember that you should make your financial contribution for your hectares by the end of July. We cannot postpone the date as this will make our inputs late. Take some of the money from your current harvest and invest it in your next harvest – we hope that you will be well rewarded again. I love to read the words of Kalil Gibran in The Prophet – ‘And before you leave the market- place, see that no one has gone his way with empty hands. For the master spirit of the earth shall not sleep peacefully upon the wind till the needs of the least of you are satisfied’. Let us all heed this advice and use our land and our skills to make sure that the need (for food) of everyone in South Africa is met – each of us can do our little bit to contribute. Happy harvesting!